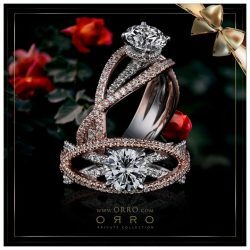 [ORRO Jewellery] Usher in this Lunar New Year & Valentine’s Day with classic elegance & sophistication. Usher in this Lunar New Year & Valentine’s Day with classic elegance & sophistication. Our jewelry pieces epitomize the defining standard of luxury. Indulge with us at ORRO, where dreams can come true – Most importantly at prices that do not cost the world. Prosperity gets redefined this Lunar New Year & Valentine’s Day at ORRO, as we look forward in presenting jewelry pieces that best embody elegance and sophistication. Get that perfect piece with an elegant setting & dazzling gem for the New Year. Be amazed as we offer you an even more brilliant line up of rings in 2018, each with an exceptional setting design & intricate craftsmanship. 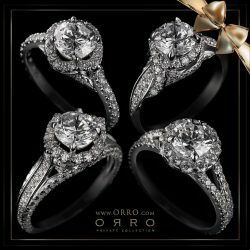 Be amazed at the sheer brilliance & dazzle by visiting ORRO today. 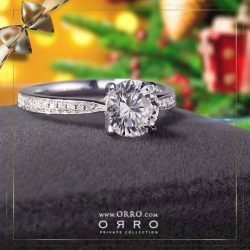 It’s not too late to celebrate those happy moments with your significant other, by presenting an exclusive gift from ORRO that captures that special moment!  SALE - 50% off for every 2nd item*! Drop by any ORRO outlet today if you’re still looking for a Last Minute Xmas Gift! With thousands of rings, pendants, earrings, bracelets and watches to select from you’re sure to find that magical present. ★ Xmas SALE - 50% off for every 2nd item*! Earrings set with jewels that sparkle with sheer brilliance - As gifts provide that subtlety and sweetness in gesture. 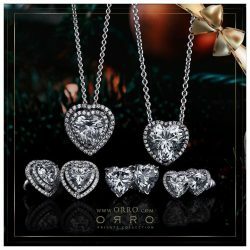 Visit ORRO, and make that perfect selection, surprise someone with these beautiful intricate pieces. Select your Xmas Gifts from thousands designs of Rings, Pendants, Earrings, Bracelets & watches. 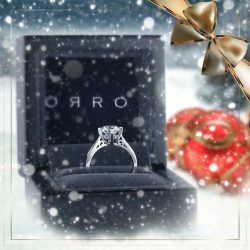 [ORRO Jewellery] Last minute Christmas Gifts? Visit ORRO today to pamper someone! With literally thousands of rings, pendants, earrings, bracelets & watches to choose from… You’ll sure to find that special Xmas Present to light up this Christmas! 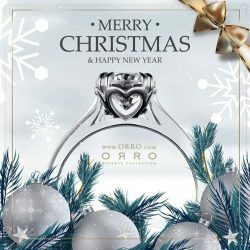 [ORRO Jewellery] Merry Christmas & Happy Holidays! Drop by any ORRO outlets if you’re looking to get a last minute Xmas gift! Prices start from only $145 + enjoy 50% off every second item purchased this Christmas + other exclusive offers only available in store. Our dazzling collection of rings, earrings, pendants or bracelets will put a smile on your love one’s face on Christmas Day! We’re open daily from 11.30am to 9pm from Sunday to Thursday and 11.30am to 10pm on Friday, Saturday and eve of Public Holidays. 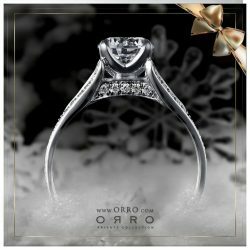 Pamper yourself or your loved ones with a ring from ORRO. Let your love shine just a little brighter this holiday season! 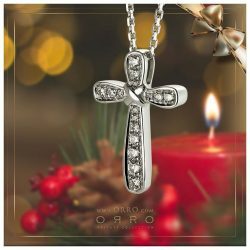 [ORRO Jewellery] Looking for a Christmas Gift that sparkles? Looking for a Christmas Gift that sparkles? With literally thousands of Rings, Pendants, Necklaces, Earrings & Watches to choose from… You’ll sure to find that special jewel to light up your love ones this Xmas! 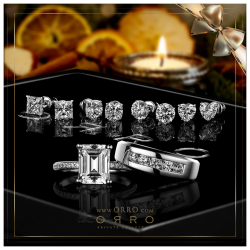 [ORRO Jewellery] Shine Brightly this Xmas…Celebrate the joyous and festive season with us at ORRO. Celebrate the joyous and festive season with us at ORRO. We offer you a variety of sophisticated and elegantly designed jewelry pieces perfect for this Christmas. 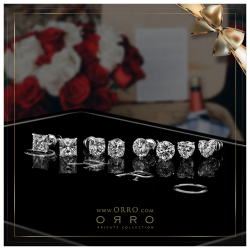 A time of glad tidings, what better way to make your love ones happy or that significant other with ORRO’s jewelry collection! 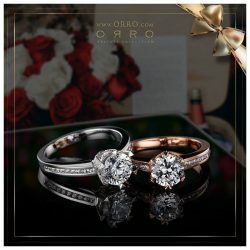 [ORRO Jewellery] Shopping for Christmas Gifts? We’ve got something brilliant for everyone on your list!  50% off every 2nd item purchased*! 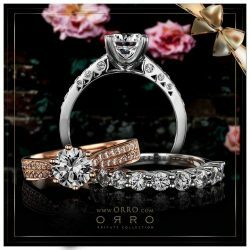 Be spoilt for Choices at ORRO with literally thousands of designs of Rings, Earrings, Pendants, Bracelets & Watches to choose from. 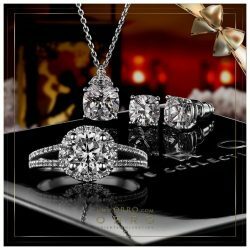 [ORRO Jewellery] This Christmas & New Year… Amaze Her. A ring crafted for that special day. A day of joyous moments. A celebration of Love. A memory of a lifetime. ★ Xmas Promotion - Enjoy 50% off for every 2nd purchased*! 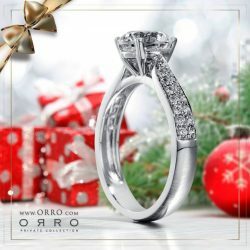 Visit any ORRO outlet today - With literally thousands of rings, pendants, necklaces & earrings to choose from… You’ll sure to find that special jewel to light up your love ones this Xmas! Comes nestled in an elegant, heavy wooden box crafted from the stock of solid rosewood, imbued with a tinge of modern indulgence & taken to perfection with a flawless glossy piano-black finish. With literally thousands of designs of Rings, Pendants, Earrings & bracelets to choose from, you’ll be spoilt for choice shopping for that magical Christmas Gift. Only at ORRO where it is Christmas everyday! In preparing for Christmas & the New Year, at ORRO we believe in the beauty of giving. Through our extensive collection of exclusively crafted jewelry, we extend our warmest invitation to all of you out there to come visit us!  Shop for that Xmas Ring today... Enjoy 50% off every 2nd item purchased*! This Christmas just got better with our NEW collection of pendants, earrings, rings and bracelets – Surprise that special someone this Xmas! ★ Xmas Promotion NOW on – Enjoy 50% discount off every 2nd item*! 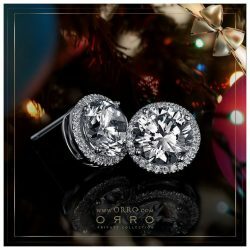 [ORRO Jewellery] The earrings & pendants at ORRO glisten with brilliance & clarity – as gifts this Christmas, provides that subtlety & sweetness in gesture. 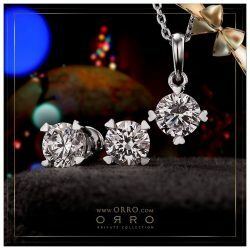 The earrings & pendants at ORRO glisten with brilliance & clarity – as gifts this Christmas, provides that subtlety & sweetness in gesture. 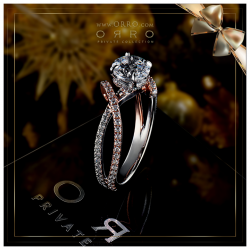 Visit ORRO today, and make that perfect selection, surprise her with these beautiful intricate pieces this Christmas. With literally thousands of designs to choose from, you’ll be spoilt for choice shopping for that magical Christmas Gift! ♡ Sale now ON - Enjoy 50% discount off every 2nd item purchased*! ♡ Prices start from only $145. 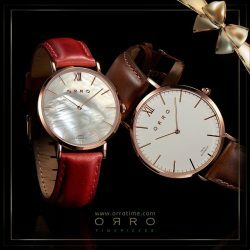 [ORRO Jewellery] Christmas Gifts for him & for her…★ SALE – TWO Watches at the Price of ONE! + other exclusive offers in-store! Select from our collection of minimalistic & sleek wristwatches, each powered by a Swiss-Made movement & encased with a Sapphire Crystal lens. A masterpiece in its own right with all the fun that you can have with our interchangeable genuine leather straps! Hundreds of colour combinations available! The beauty of solitaire earrings as gifts lies in their simplicity & subtlety, though small in size the gems from ORRO dazzles with unrivaled brilliance creating the ultimate bling. Available in various cuts, shapes & sizes, and complimented by a modern setting, each pair of earrings are contemporary and yet ornamental in the most elegant of ways. ★ Enjoy 50% discount off every 2nd item purchased this holiday season*! Each pair comes nestled in an elegant, heavy wooden box crafted from the stock of solid rosewood, imbued with a tinge of modern indulgence & taken to perfection with a flawless glossy piano-black finish. 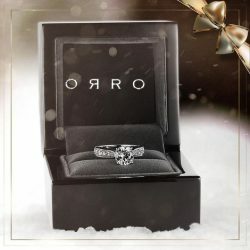 [ORRO Jewellery] Thinking hard for a Xmas Gift? Thinking hard for a Xmas Gift? 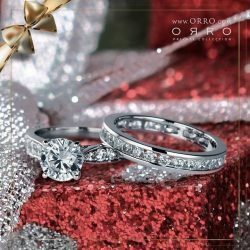 Get the ring she desires & share many other happy moments with all of us at ORRO this Christmas. We know what makes an ideal ring and we can hardly wait to offer you such marvel & beauty. ★ Enjoy 50% discount off every 2nd item purchased this festive season*! With literally thousands of designs to choose from, you’ll be surely spoilt for choice shopping for that magical Christmas Gift! 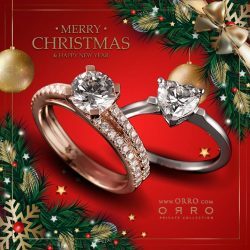 [ORRO Jewellery] Celebrating LOVE this Christmas…At ORRO, our rings are all each carefully designed with sophistication & elegance in mind. 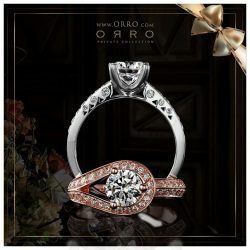 At ORRO, our rings are all each carefully designed with sophistication & elegance in mind. Get that dream ring of yours, with that perfect setting and dazzling gems set on it - adding brilliance this Xmas! 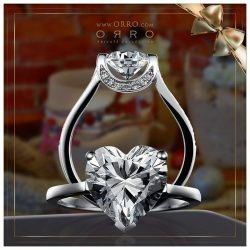 [ORRO Jewellery] Thinking hard for a Xmas Present? Thinking hard for a Xmas Present? With literally thousands of designs to choose from, you’ll be spoilt for choice shopping for that magical Christmas Gift! 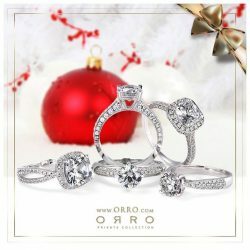 [ORRO Jewellery] Shopping for a Xmas Gift? Shopping for a Xmas Gift? Be spoilt for choices at ORRO. With literally thousands of designs of rings, earrings, pendants, bracelets and watches to select from, you’ll find something to dazzle your loved ones this Christmas!